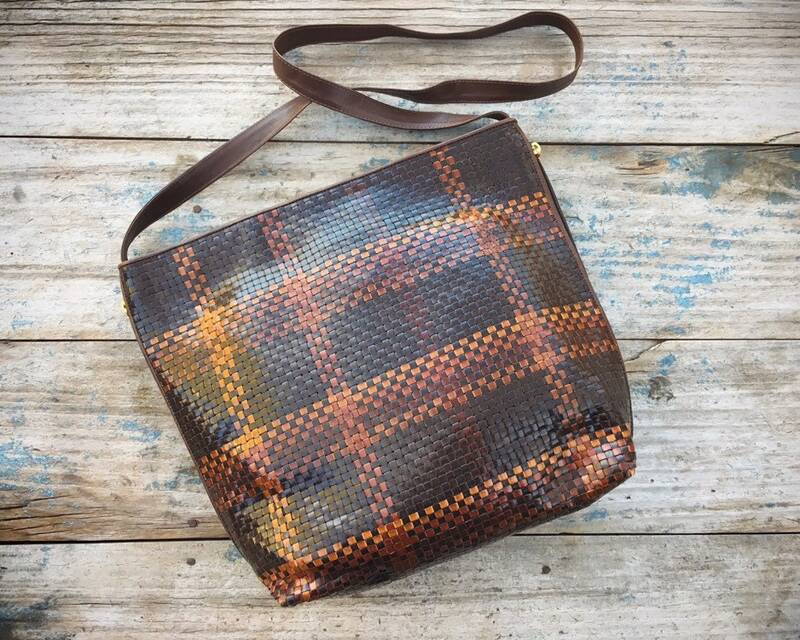 This woven leather purse is circa 1980s to early 1990s, from the brand CEM, Made in Brazil. 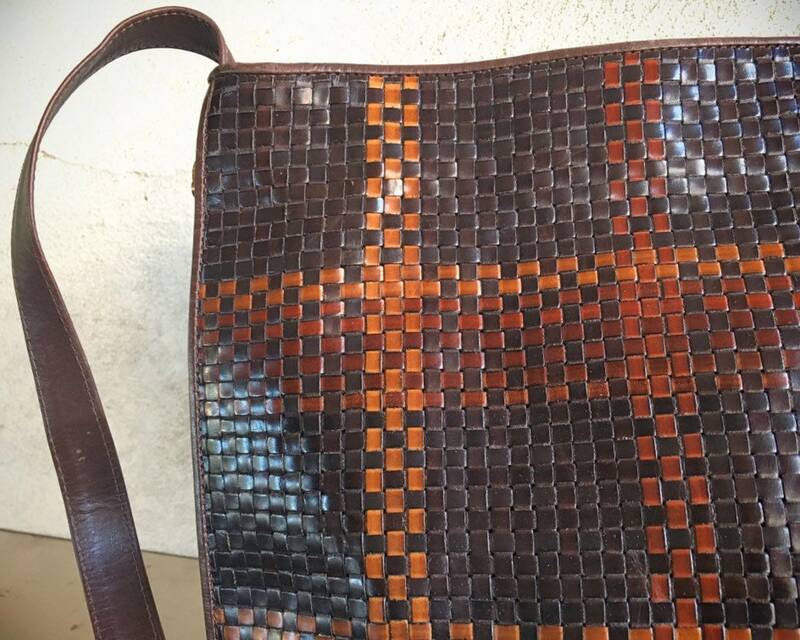 The title woven leather in shades ranging from dark brown to light has an almost two-tone effect although the shades are more nuanced than that and represent a broader range. 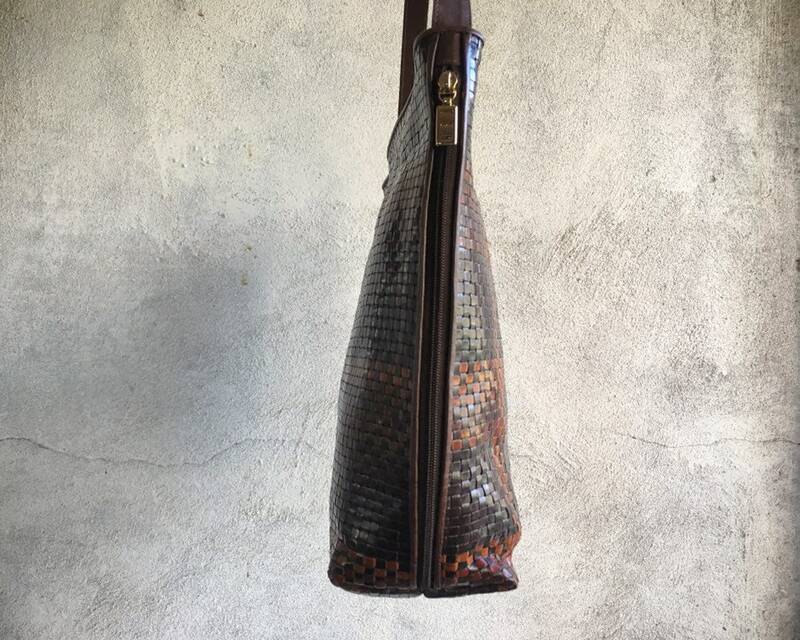 Brazil is a center of excellence in leather making, and the craftsmanship comes through in this bag. 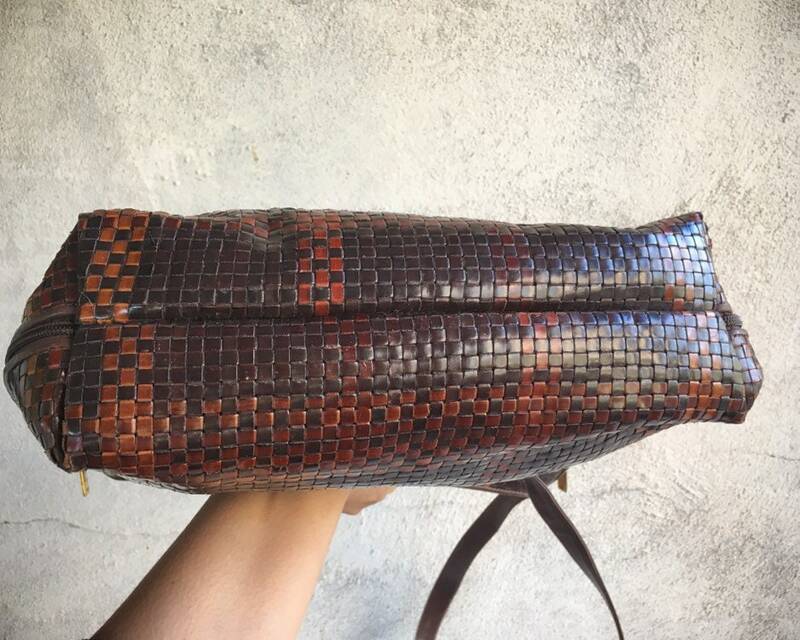 The shape is fairly wide and flat although each side has a gold tone zipper that when unzipped allows the purse to expand by quite a bit. I think the zippers, however, are more a style trend that was big for a while and there more for decorative purposes versus practical ones. Zipped top closure, black fabric lined single interior, and a single zipped pocket inside. 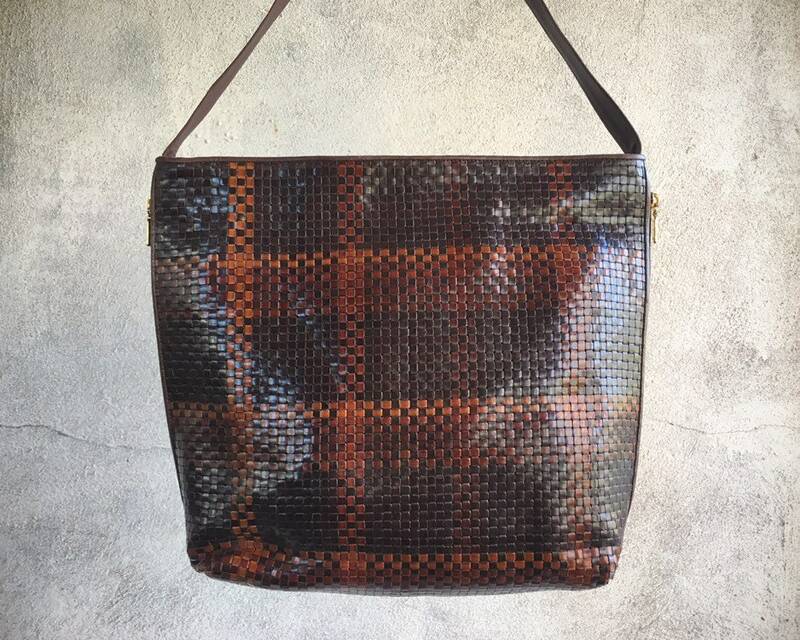 No cell phone pocket as the purse was designed before mobile phones became ubiquitous. 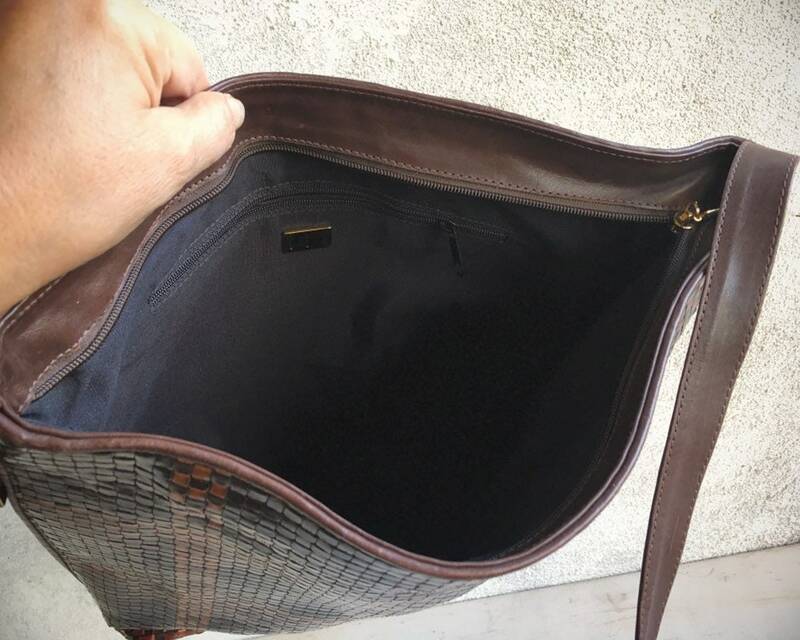 The interior is clean and the purse appears to have been used very little. 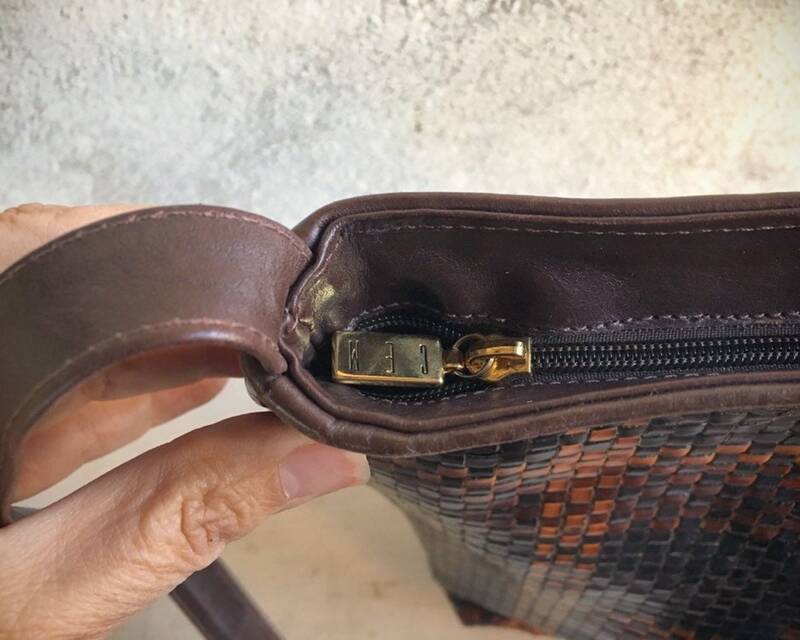 The main issue is that the leather corners are squished from the purse being stored for years, and to keep those corners more boxy, I'll be storing the purse with clean paper inside and recommend the buyer do the same to re-shape those corners. Measures 14" across by about 11" tall and about 4" deep, and the non adjustable strap is about 37-1/2" long. Overall in great condition.